​Newcastle United owner Mike Ashley has submitted a bid to buy collapsed music chain HMV, after reports surface that his planned sale of the club has fallen through. The businessman has owned Newcastle since 2007 and has repeatedly faced calls to resign and sell the club throughout his near 12-year tenure at St James' Park. With reports emerging from the ​BBC that he plans to purchase HMV, the news will come as a kick in the teeth of Magpies' supporters, who have been consistently unhappy with the Londoner's lack of investment on Tyneside. It appeared that a deal was in place for Ashley to sell the north east outfit at the fourth attempt, however he has apparently pulled the plug on Peter Kenyon's deal, according to the ​Daily Star, as ​Newcastle fans face further uncertainty around the club's ownership. Newcastle manager Rafael Benitez's contract is due to expire in the summer, and with just ten days remaining of the January transfer window, Magpies fans fear a lack of investment this month will not only hamper the team's performances, but also see Benitez closer to the exit door. The club spent £19m in the summer, as Benitez looked to build a squad capable of improving on their tenth place finish in the ​Premier League last year. However, the club has struggled this term, languishing in 17th, just two points clear of the relegation zone after their ​3-0 win over ​Cardiff. 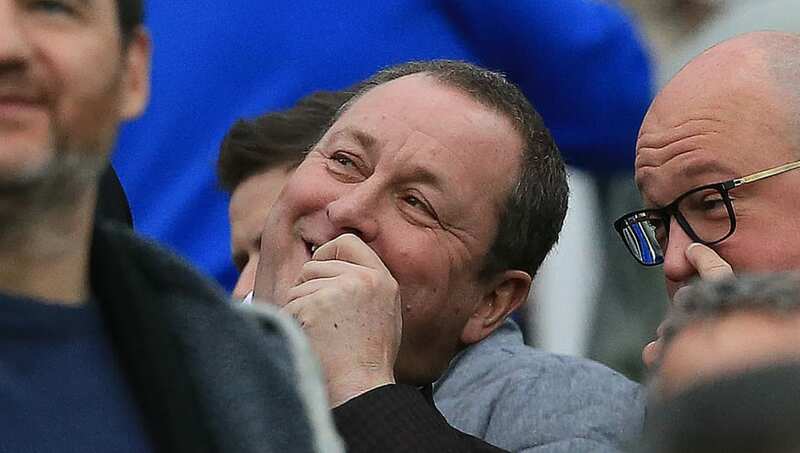 While it remains to be seen whether Ashley's bid for HMV will prove successful, Newcastle supporters will feel any money from the owner's pocket should be invested directly in the team, to avoid the club scrapping for survival this term.